Children are consuming 300lb of sugar by the age of ten, shocking figures reveal today. At almost 22 stone, the average intake is twice the recommended total – wrecking youngsters' teeth and future health. 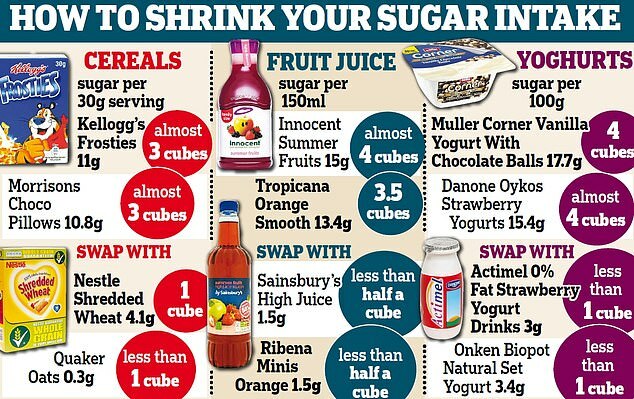 Experts called on families to drop sugar-rich cereals, yoghurts and juices in favour of healthy alternatives. 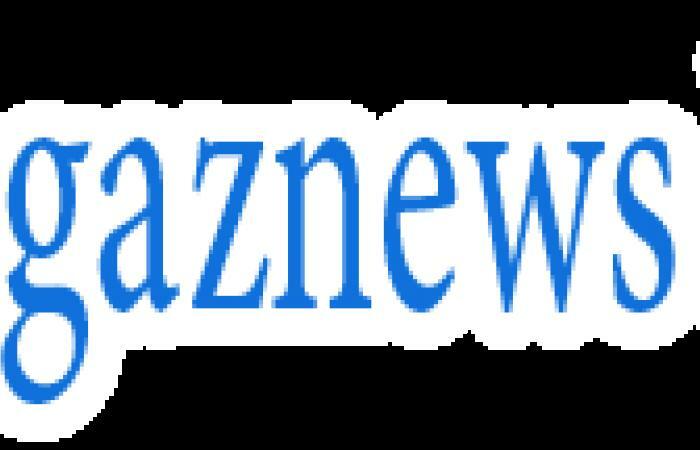 They also said the tax brought in last year on sugared drinks should be extended to other products. 'If we are to curb our escalating childhood obesity epidemic then the Government must enforce more hard-hitting tactics,' said Kawther Hashem of the charity Action on Sugar. These could include clearer labelling, halving sugar levels in all products, a tax on confectionery and a ban on the promotion of unhealthy food and drink, she said. 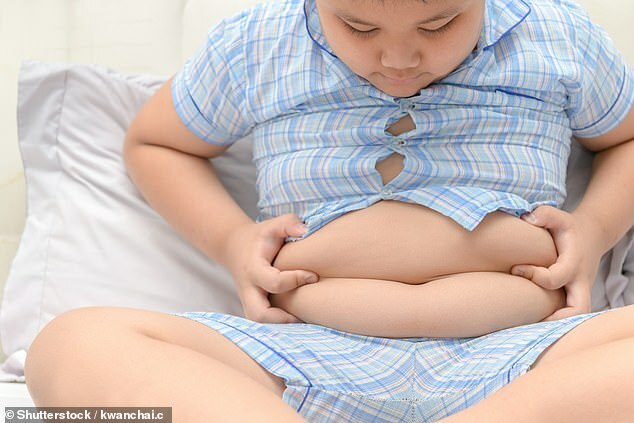 With a third of youngsters judged overweight, Britain has the worst obesity rate in Western Europe. From the age of two, children are consuming an average of almost 2oz of sugar – 52 grams – a day. This is more than twice the recommended daily maximum. Last year 26,000 under-tens were taken to hospital with rotten teeth. Being overweight increases the risk of major health problems including type two diabetes. Officials today launch their latest attempt to change the national diet, suggesting that parents could, for example, replace chocolate cereals with shredded wheat or porridge. 'Children are consuming too much sugar, but parents can take action now to prevent this building up over the years,' said Dr Alison Tedstone, of Public Health England, which produced the figures. 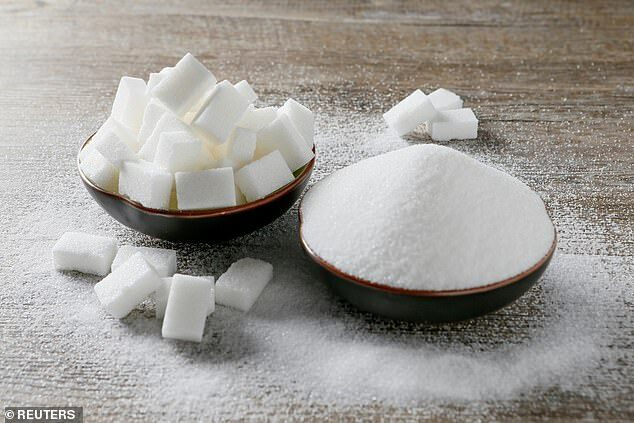 Latest figures suggest food manufacturers have cut sugar levels by an average of just 2 per cent, against targets of 5 per cent. Dr Tedstone told the Daily Telegraph that a 'pudding tax' on cakes, biscuits and sugary snacks was now needed. Dr Max Davie, of the Royal College of Paediatrics and Child Health, called for clearer food labelling rules. 'Sugar is in so many of the products families love,' he said. 'When a can of cola contains the equivalent of nine cubes of sugar, you can see how easy it is for a child to reach and exceed their daily limit very quickly.